Real IRM offers enterprise architecture-related courses worldwide, both as public and as customer-specific courses. Our EA Framework courses cover the fundamentals of each framework as well as provide instruction on the practical implementation of the framework in business. Mapping of one framework to another is also addressed. Our EA Techniques courses offer guidance on how to create and deliver architectural artefacts that are based on a defined meta-model. These courses are based on industry-accepted techniques, and are EA toolset-independent. 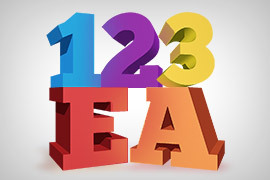 Our EA Tools courses combine EA Techniques training with instruction on specific EA tools. These practical courses include a number of exercises and assessments to assist delegates apply the techniques they have learnt. Our EA People courses focus on the human aspects required to make enterprise architecture (EA) a success. 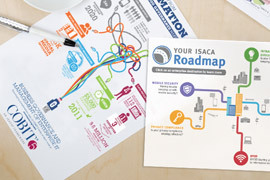 Practical exercises ensure relevance to the EA environment and provide delegates action plans for their organisations. Real IRM offers on-site mentoring services to empower individuals and teams to create high-quality deliverables that adhere to their company's standards. 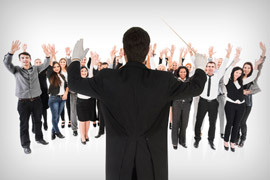 This service is offered to build competence and confidence within a team such that the team becomes self-sufficient. One-on-one sessions support and guide individuals in their work environments while delivering their required outputs. This two day course will provide the tools and techniques which are vital for effective business analysis using Sparx Enterprise Architect. The course will cover some of the basic modelling conventions used in Sparx Enterprise Architect, and will delve into the specific techniques used to execute a comprehensive analysis of a business problem. A worked example will be used to model a business problem from business concept to Business Requirements Specification. This two-day course will enable delegates to best use the solution design features within Sparx Enterprise Architect to construct comprehensive solution designs in a concise and integrated fashion. The course makes use of various industry standards to deliver specific viewpoints aimed at Solution Analysis and Design. 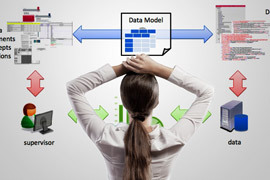 These include Archimate, UML, SysML, and SOAML techniques which are included in a detailed worked-example. This four-day course teaches delegates how to use the Sparx Enterprise Architect tool to create business process models using the BPMN. 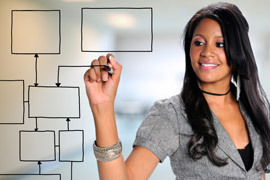 The course covers the well-known process modelling standards and includes the considerations faced when embarking on a process modelling initiative. Delegates completing the course will gain a good understanding of process modelling as well as the ability to apply it using Sparx Enterprise Architect. This two-day course provides instruction on how to best use the tool as well as an introduction to the many product features and capabilities of the tool. Included in the material are the basic tools and techniques which are vital for harnessing the power of Sparx Enterprise Architect. Real IRM’s ArchiMate® 3 Training course is accredited with The Open Group. 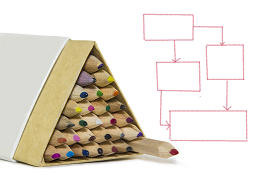 This two-day course ensures delegates are knowledgeable about ArchiMate®. All aspects of the ArchiMate® 3 standard are discussed, including the ArchiMate meta-model, language structure, viewpoints and language extensions. Examples and exercises are used throughout the course to make the theory practical. Real IRM’s four-day Business Process Modelling Course teaches delegates foundational process modelling concepts as well as the importance and benefits of a carefully thought-out approach. The course covers the well-known BPMN 2.0 process modelling standard and includes a look at the considerations faced when embarking on a process modelling initiative. This three-day course addresses the Architect’s need to assess and prepare an organisation for transformation; the role of the change team; the implementation of change management programmes; how to identify and address obstacles to change, and how to embed the transformation in the organisational culture so as to benefit from it. Exercises ensure relevance to the EA environment and provide delegates an action plan for their organisations. The course comprises lectures, group discussion, assignments, a sample examination paper and other guidance to prepare attendees for the APMG COBIT® 5 Foundation examination. 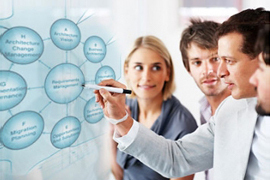 The course activities are reinforced through the trainer’s proven implementation track record. The course content is based on COBIT® 5, including the framework and other supporting documentation. Delegates will receive an in-course hand-out and other relevant material. This three-day course provides delegates with a good understanding of data modelling as well as the ability to apply it. The course also looks at Big Data concepts and how Big Data projects differ from Small Data projects. NoSQL, Hadoop, data lakes, Data Science, and the impact of Big Data on both business and consumers are addressed. The EA Bootcamp course is designed to provide a comprehensive introduction to individuals entering an architecture-related role and/or needing a basic understanding of enterprise architecture (EA) concepts. This four-day course is aimed at beginners and addresses a span of EA concepts and theories. TOGAF(R) 9 Foundation tuition is included as part of the course and delegates will be eligible to write the TOGAF 9 Level 1 exam following the course. This four-day course is a practical introduction to Business Architecture and covers the frameworks and tools needed for the discipline. It includes the Business Architect role as well as guidance on establishing and operationalising a Business Architecture function. 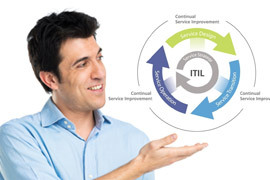 This accredited 2 ½ day ITIL 4 Foundation certification course is the entry level qualification which is designed as an introduction to ITIL 4 and enables you to understand a new way to look at IT Service Management through a Service Value System (SVS). This three-day course teaches delegates an industry-leading process modelling methodology based on BPMN (business process modelling notation) as well as the practical use of the EA modelling tool which their organisation has selected. Real IRM presents courses using ARIS Platform, IBM Rational System Architect, Abacus, Sparx Enterprise Architect, Visio and Mega. SOA Smart Start is a two-day foundational course that equips architects and modellers with an understanding of the SOA standards landscape, the infrastructure required for SOA, and the knowledge required to adopt The Open Group’s OSIMM and SOA Governance Reference models within their organisations. This five-day course includes all the key learning points necessary to pass the TOGAF® 9 certification exams, as well as content on the TOGAF® methods and techniques that are adopted in the GWEA Framework. Delegates gain an understanding of the TOGAF® 9 and GWEA frameworks and how to practically apply them to support the design and implementation of an EA. This five-day, The Open Group accredited course consists of detailed instruction on TOGAF® 9.2 in accordance with The Open Group’s Level 1 and 2 TOGAF® 9 certification requirements. It includes a case study and exercises to make the theory relevant, as well as material to assist you in your preparation for the certification exam. 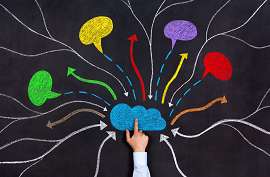 This three day, hands-on course provides the foundation you will need to make the most of UML. 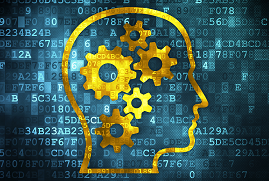 The key concepts of structural and behavioral modeling are covered in some detail through interactive, example-led workshops. This two-day course provides you with an understanding of the Zachman Framework and how to apply it. It includes an overview of the TOGAF® Architecture Development Method (ADM) as well as guidance on how to use the Zachman Framework to define ADM deliverables. The material is made practical with examples and a case study exercise that addresses both the Zachman Framework and the ADM. The Open Group ArchiMate® Forum will make available the latest version of the ArchiMate Specification®, version 3.0, with a series of announcements and events to take place throughout the months of June and July. The ArchiMate 2.1 Specification and supporting materials were released today. ArchiMate 2.1 is a maintenance update to ArchiMate 2.0, addressing comments raised since the introduction of ArchiMate 2.0 in 2012. The Open Group has announced their new Open FAIR Certification Program aimed at Risk Analysts. The certification program focuses on The Open Group Risk Taxonomy and Risk Analysis standards which have advanced the risk analysis profession by defining a standard taxonomy for risk, and by describing the process aspects of a rigorous risk analysis. In order to become certified, Risk Analysts must pass an Open FAIR certification exam which is currently available at Prometric Centres. Training courses will be delivered through an Open Group accredited channel. The Open Group announced that a new ArchiMate 2.0 Foundation certification exam is available through accredited training organizations and also at Prometric test centres around the world. ArchiMate Certification - Is it for Me? ArchiMate® certification is for architects who want an internationally recognised qualification to demonstrate their detailed knowledge and ability to apply ArchiMate 2.0. It is targeted at those individuals who require a deep understanding of ArchiMate® and/or are responsible for developing architecture artifacts using the language. The certification is also intended for architects wanting to introduce ArchiMate® into their architecture practices. The Open Group has released ArchiMate® 2.0, the latest version of the open and independent modeling language for Enterprise Architecture. ArchiMate® 2.0 is now more closely aligned with TOGAF® and enables the creation of fully integrated models of an organization's Enterprise Architecture, the motivation behind it, and the programs, projects and migration paths to implement it. The TOGAF® 9 People Certification program has been designed to accommodate maintenance updates (such as TOGAF® 9.1) to the TOGAF® 9 specification. Thus, the certification remains as “TOGAF® 9 Foundation” and “TOGAF 9 Certified”, and individuals who are currently certified in the TOGAF® 9 People Certification program remain certified. 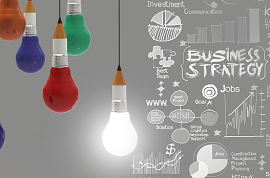 Time to become a Business Architect? As organisations embrace rapid and radical digitisation, new demands are placed on individuals, and new skill-sets rise into popularity. For those in traditional Business Analyst and Project Management roles, one of the most opportunity-laden directions to evolve into is Business Architecture. Business Architecture, as one of the Enterprise Architecture domains, regularly features on lists of hottest, most in-demand IT skills. It’s a natural extension of Business Analysis, for those looking to elevate their career to a more strategic level. Enterprise Architecture specialist Real IRM has launched a two-day training programme – aimed at certifying individuals in The Open Group IT4IT™ Reference Architecture standard. This coincides with The Open Group conference in London this week which saw the official launch of the IT4IT™ certification. Real IRM is immediately bringing the certification to South African shores to add to their existing portfolio of international certification programmes from The Open Group – which includes TOGAF® and ArchiMate®. IT specialists interested in developing their expertise in the rapidly-growing field of Enterprise Architecture (EA) can now benefit from the Zachman Framework course, from leading EA training provider Real IRM. This newly-designed course is ideal for those looking to get to grips with one of the most fundamental frameworks in the field. 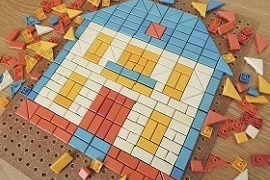 It is perfect for individuals who aspire to become architects, since it deals with some of the fundamental building blocks of EA. 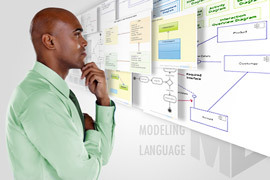 Enterprise Architecture specialists Real IRM has launched a new training course designed for business analysts who are required to use Unified Modelling Language (UML). The course helps to more closely link the disciplines of business analysis and technical implementation. It empowers analysts with a solid foundation in UML, and allows them to write UML specifications, without being drowned in technical detail. Real IRM has launched a first-of-its-kind course for Enterprise Architects – dealing specifically with the change management, change leadership and communication skills required to produce effective business transformation. 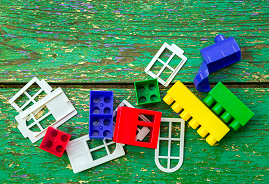 Enterprise Architecture (EA) programmes are vulnerable to failing unless they are supported by a powerful change management strategy and effective stakeholder engagement. This course breaks away from the technical aspects of EA. It draws on the psychological aspects that need to be considered when an organisation redefines its architectural vision. Real IRM’s ArchiMate® 2.0 Certification Training is one of only six Accredited ArchiMate® Training Courses in the world, and the only one in South Africa. The Open Group provides an authoritative and independent assurance of the quality and relevance of its Accredited Training Courses. 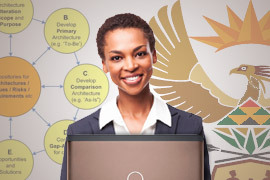 Enterprise Architecture specialist Real IRM has wasted no time in scheduling its first ArchiMate 2.0 certification training courses following its recent achievement of becoming Africa’s first accredited training centre on the international modelling standard.